Your Chance to Save NOW! Just click on any item you like, when the window opens you will have a chance to choose a coupon for 25% off that item. Check It Out! You'll find this sitting on the left side of our blog now. It will give you a quick tour of the newest items in our Etsy Shop. Isn't' this great? Making your own Toothpaste is Easy ~ Sugar-free, Tasty, and it Works Great! 1. Mix all ingredients together in a small bowl, using a fork. *** Start out with about half of the amount of peppermint oil and see how you like it. Too much peppermint oil for your taste and you'll end up with something that you will consider too spicy to use. Cinnamon ~ Omit the mint oil and substitute a few drops each of cinnamon and clove oil. You can use powdered cinnamon and clove, but expect the paste to be a little bit gritty. I find it best to use less at the beginning and add little bits at a time as cinnamon and clove tend to be strong and spicy, depending upon the brand you have at home. Lavender Vanilla ~ Omit the mint from the original recipe and substitute ground lavender flower heads. A drop or two of pure vanilla extract adds body to this recipe. Experiment with your favorite herbs and spices. Have fun and brush, brush, brush! If you don't have 76 degree Coconut Oil you can use a higher degree, but just be sure that you use the kind that is solid at room temperature. 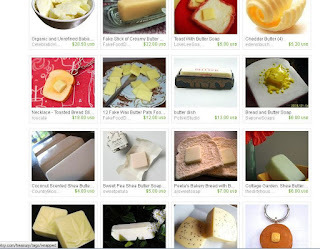 If you try to use denatured or fractionated Coconut Oil it will be too liquid and will not thicken at all. Coconut Oil is an excellent base for homemade pastes...i think you'll love it. Coconut Oil will melt at 76 degrees so the toothpaste becomes liquid when you brush, and coats well. The nature of coconut oil is not the same as with most vegetable oils and it will not leave any oily or greasy feeling in your mouth. It will feel fresh and clean. 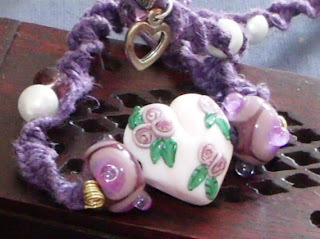 We always make it fit by offering free extension of any length with a purchase of hempy jewelry. I know that its hard to find hempy jewelry that actually fits perfectly for you. They look so great in the photo, and then you get them and they are too short on you. Well, I've fixed that for you. 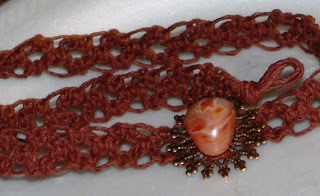 Every necklace we offer comes with a free matching extension in whatever length you specify. Jade, a sacred stone in the East, is widely used as a healing stone providing for a long and healthy life, as and one that will help you attract love and positivity into your life. Jade is often given to the one you love as an aid in ensuring their affections. It is also said to bring luck in finance, helping to bring money into your life. Overall, jade carries a very positive vibration into all that you do in your life. Inside this little corked bottle you will find both Korea's Jade and New Mountain Jade chips. Korea's Jade is a lovely aqua color, light and airy looking, while New Mountain Jade is deep and rich in color. Both carry all the traits of jade within them, and the mix of light and dark is especially powerful. I have woven a natural soft hemp necklace around this powerful little bottle and adorned the length of it with decorative natural wood beads. The bottle itself is wrapped in raffia of natural and green and nestled within a cradle of knotted hemp. There are two additional strands of both light and dark jade chips hanging from the neck of the bottle just above the cork. With a bead and loop closure, the necklace is adjustable at 18, 20 and 22 inches,so that you can wear it shorter or longer as you choose. The glass bottle measures approximately 2 inches tall by 1 diameter at the bottom. The cork adds an additional 1/8 of an inch at the top when fully inserted. A snug but removable wooden collar at the top of the bottle allows you to open the bottle and insert a small parchment with your written intentions upon it should you so choose. As always, extensions are available free of charge, just specify the additional length needed. Move the top of the hemp cradle away and to one side of the cork, being careful not to slip the bottle out of the cradle. While holding the strands in place, slip the wood collar back over top of the cork, over the strings, and press down firmly as far as it will go, flush with the top of the bottle neck. If you do not intend to remove the cork, you may want to put a VERY SMALL amount of glue on the edges of the cork before re-inserting. This is ONLY if you do not intend to EVER remove the cork again. When using glue, be very careful not to allow it to touch the hemp fibers as it will stiffen them and create an unsightly coating. IMPORTANT NOTE: Suggestions given herein are for informational purposes only. Please consult your Healthcare Professional when attempting to treat any illness or condition. We do not recommend the ingestion or consumption of any herbal solution or preparation for pregnant or lactating women, or for children. Your health is your most precious asset...always take the utmost care. Check Out Our New Etsy Treasury "I Can't Believe Its Not Butter"
Having Fun! Wrapping little corked bottles with hemp, attaching to a nice beaded necklace, and filling them with tiny crystal chips of your liking. This will be this morning's project. Just added a few NEW necklaces and chokers in our Etsy Shop today. Free Shipping on Every One! 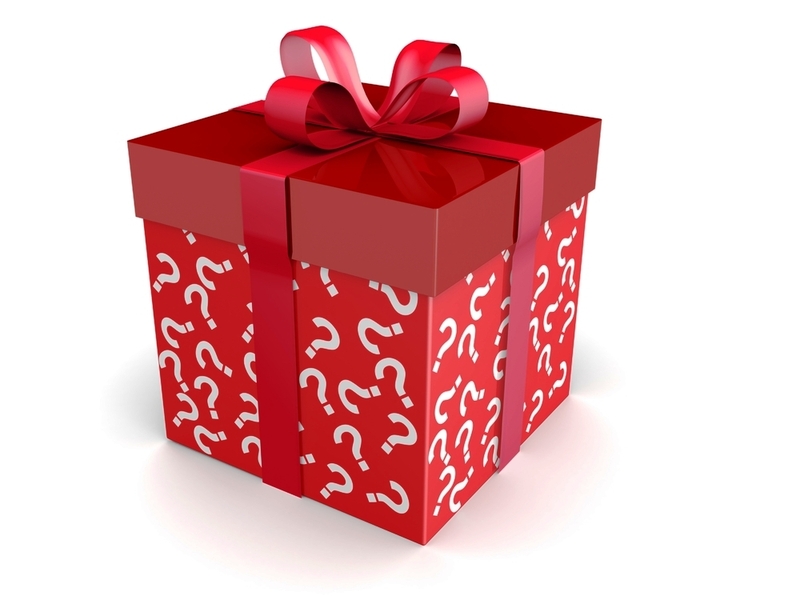 What would you like to see as Next Month's Giveaway from our Etsy Shop? 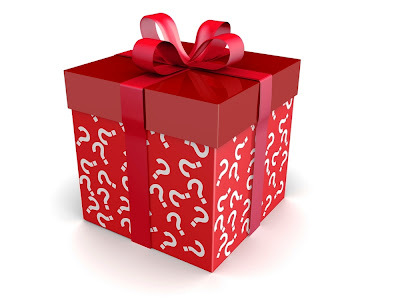 Don't forget that each month from the 15th to the 15th, if you **LIKE** our Etsy Shop, our Facebook Page/Shop or our BLOG and you'll gain ONE ENTRY FOR EACH Like into that month's Giveaway. So go ahead, LIKE away! Kids have an upset tummy? Maybe you do? This will soothe and calm your tummy, and it tastes good too! Perfect for children, this will not only soothe an upset tummy, but will calm them as well. Loaded with nutrients, you can even use this to help with the symptoms of allergies and colds. Makes 4 very large or 8 small cups of tea. 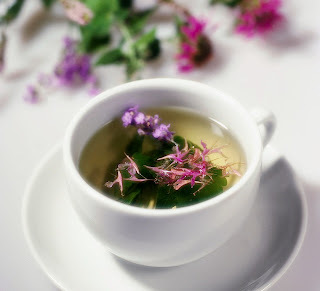 If Stevia was not used, add clover or wildflower honey to taste. I like a bit of cream in mine, but its a matter of taste. Due to the possibility of uterine stimulation, this blend of tea is NOT recommended for pregnant or lactating women. IMPORTANT NOTE: Suggestions given herein are for informational purposes only. 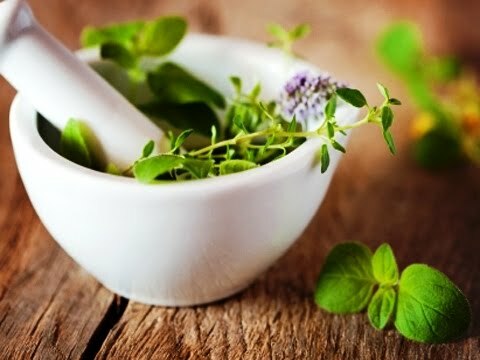 Please consult a Master Herbologist or your Healthcare Professional before using any Herbal Preparation. We do not recommend the ingestion or consumption of any herbal solution or preparation for pregnant or lactating women, or for children. Your health is your most precious asset...always take the utmost care. We have added a new page entitled What People Say About Us. See the LINK on the top tabs. 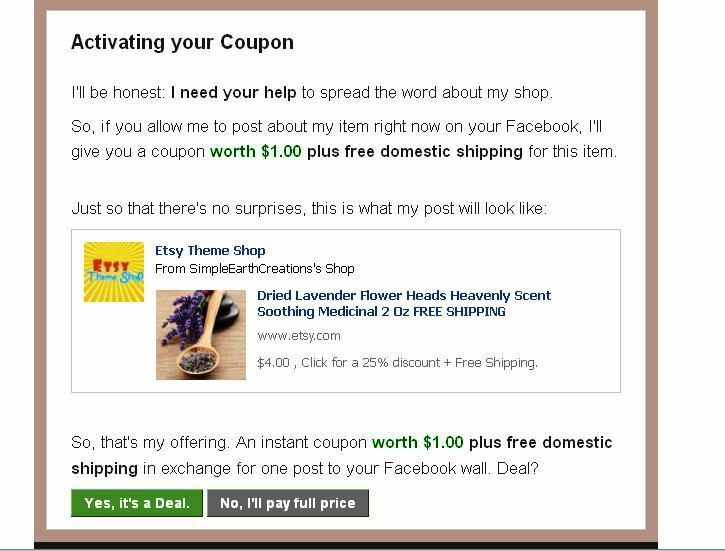 Here you will find feedback from sales and comments made on our blog and in our shop, as well as remarks made on our Facebook page. If you would like to leave a comment, please feel free. Crystal energy can be used for emotional, physical, and spiritual healing by balancing and stimulating positive energy in the mind/body. 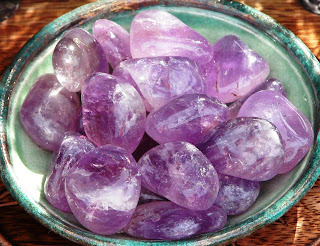 Crystals pull positive energies to you, and the more you use them, the more of a bond you form. Oddly, this same frequent use of your crystals can weaken their energy and effectiveness. To prevent this from happening, charge your crystals regularly. The process is an easy one, but I suggest you wait for the Full Moon and for a time when you can be calm and relaxed to more easily direct your most positive energies. All of the Crystals you receive from Simple Earth Creations will be cleansed and charged before they begin their journey to you. When you receive your crystals, you will do your part. First, make sure the crystals remain clean and free of earth and dirt. Should they be soiled, simply rub them down with a soft organic cloth. As a last resort you may use a soft bristle brush, as you want to disturb them as little as possible. Once this is done, you are ready to cleanse your crystals. 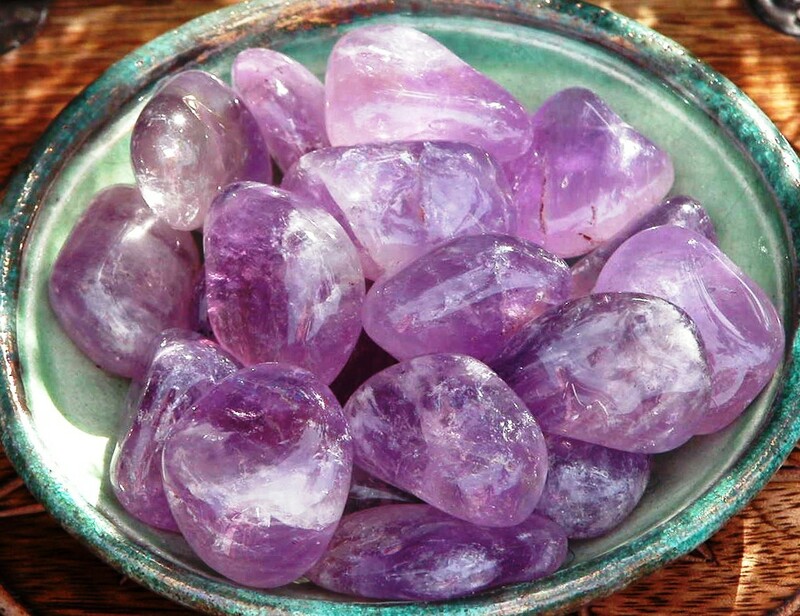 Cleansing is the first step in readying your crystals to accept your best energies and intentions. Choose the crystals that you want to work with based on the outcome that you are looking for. 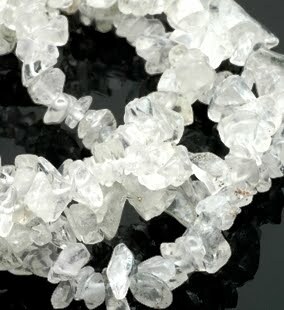 Clear Quartz Crystal absorbs negativity and allows you to instill a most positive and energetic atmosphere in yourself and your sacred space. 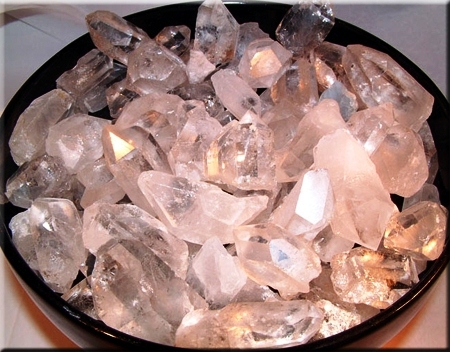 Clear Quartz Crystals can take the place of other crystals that are unavailable to you at any given time. Clear Quartz and Rose Quartz Crystal are among the easiest to start out with. Rose Quartz is excellent for enhancing your intentions and filling your space with love and positivity. 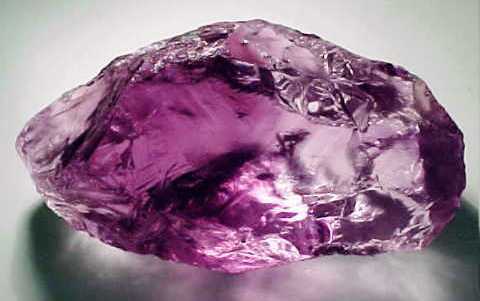 Amethyst also easily accepts positive energy and will ease stress and instill calmness in yourself and all around you. 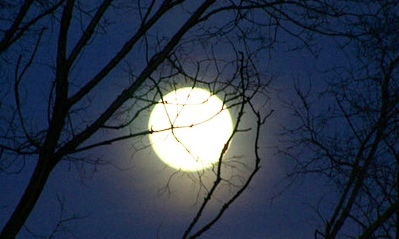 On the evening of the Full Moon, cleanse each crystal by running cool water over it as you hold it in your hand. Place them in an earthen or glass bowl and cover with well water or purified water. Gently mix in a small amount of natural sea salt. Now place the bowl of water and crystals on the ground under the moonlight, preferably a Full Moon. Let it remain there for at least 24 hours, and even better, from one Full Moon to the next . Take care to either end the cleansing at this Full Moon or in the Waxing-to-Full Moon phase of the next. I do not advise ending cleansing in any other moon phase other than the Waxing or Full Moon. When your crystals have absorbed the Full Moon energy, rinse them under cool running water, being sure to gently handle them as you do. When a connection is made, you will “feel” that the cleansing process has been completed. When you have reached that stage, allow your crystals to air dry. After cleansing, you may want to charge your crystal with a specific power. 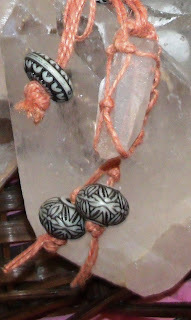 Charging crystals is an essential part of working with them as tools. Again, crystals are charged with your personal energy during the Full Moon. Before charging your crystal, carry it around in your pocket or wear it around your neck for a few days, being sure not to carry it with metallic or magnetic objects, such as your keys or phone. Keeping the crystal close to you helps strengthen the bond between your crystal and your own personal energy. Charging your crystals during the Waxing or Full Moon will ready them to aid you in a fresh start and in seeking out your desires . Charging your crystal under the waxing moon aids in positivity and in the intention of gaining something that you want or need. Working in the waning or new moon is a bit more tricky, as some may use this in a negative manner. But as you gain more experience, charging under a waning or new moon could help you to achieve a lessening effect on something, such as debts or illness. Until you gain more knowledge, it is best to work in the Waxing to Full Moon with all of your crystals. As important as cleansing is imparting them with your intent for their work, using the elements of air, fire, water, and earth. Charging your crystals with a specific energy is a moving and powerful experience. Find a place of peace and quiet within your home and space. Sit still and relax, concentrating on your intent and focusing your energies. Decide what you wish to impart to your crystals. Unwanted feelings may surface when working with crystals. That's OK. You may choose to protect yourself with meditation or a prayer of your choosing. Ask for guidance, allowing all your feelings to flow, acknowledging them and creating an aura of pure love. Picking up a single stone in your dominant or projective hand, visualize your intent and what you would like to gain from your crystals. Relax. Direct these energies into the stone that you are holding. Try to actually visualize the energy going out from your body and into the stone. You might try seeing it as a line of light flowing from you to the stone. As you charge the crystal, visualize it glowing with the light of your energy. When the stone has received your energy and intent, you will feel it within the crystal, and as with the cleansing, and you will then know that the process has been completed. When you have finished charging the stones, wrap them individually in a soft, unbleached organic cloth such as a natural cotton or silk. Thank the spirits for the guidance they have provided you. Some may choose to perform a more elaborate charging ritual. The basics are the same, the feelings are the same, only the tools are different. 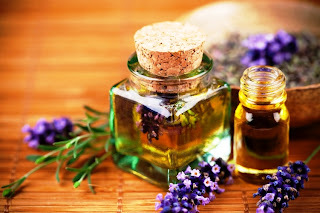 To do this you will need an incense stick, natural essential oil such as sandalwood, amber, lavender or frankinsence, a red candle, well-or-purified water, a small earthen bowl or other natural receptacle, and a small plot of soil such as in a flower pot. 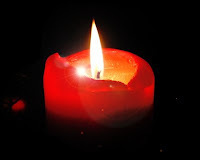 Light a stick of incense and the red candle to represent the elements, air and fire. Pass the crystal through the smoke to charge with the energies of air. Pass the crystal through the candle flame to charge with fire energy. Sprinkle purified water from the bowl onto the stone, charging it with the energy of water. Place the crystal in the soil and visualize the earth's energy charging your crystal. Finally, rub the essential oil over the stone to charge it with your very own energy. Give thanks to the elements and to Mother Earth for aiding you in your endeavor. 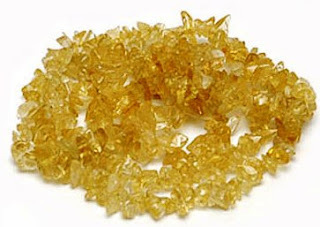 Again, wrap your crystal in a small piece of organic silk or cotton. Always keep your crystals clean by polishing gently with a soft cloth, and keep the energy pure by wrapping them or keeping them in a soft organic cotton or silk bag. This will keep impurities from changing or weakening the energy and intentions you have placed within your crystal. Keep it with you, in your pocket, wear it around your neck, or simply hold it in your hand to guide you clearly and purely in all your endeavors. 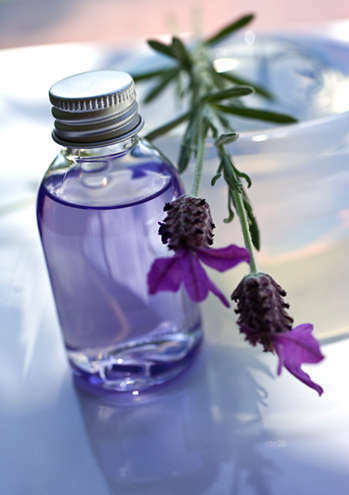 You may choose to gently rub essential oil of lavender onto your crystal to aid in calming and soothing. Have fun and experiment with essential oils for their metaphysical and healing properties. 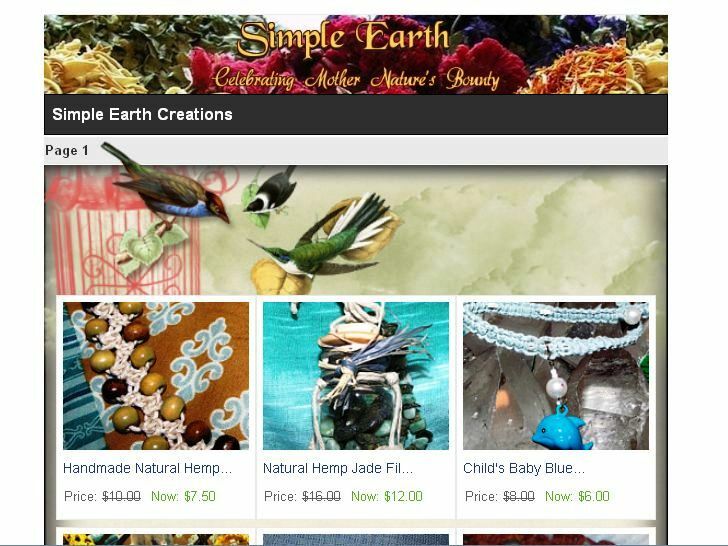 Find Crystals, Herbs, Oils, Handmade Jewelry and Lots More at our Etsy Shop or check us out on Facebook, and don't forget to Enter Our Contest to Win Cool Stuff! from of one of these awesome Crystal Points. that are attached to the Matrix. Some of the matrices are absolutely gorgeous, but some are just plain, and truth be told, a little bit less than attractive. The amethyst crystals though, are all stunning, so I'm thinking of Hemp Wrapping some of the smaller Amethyst Clusters, but I don't want to do an all over open wrap like the one pictured above on the Clear Quartz Crystal, due to the backing being a little less than attractive. 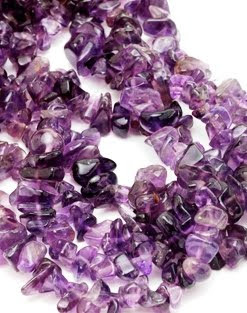 So, question is, who has a great idea on how to Hemp Wrap a Crystal Cluster, enclosing the back and still leaving the Amethyst Points in the front exposed for their timeless beauty? I have tried some designs but so far not satisfied with the outcome. You know I just LOVE New Ideas! And I'd LOVE to hear yours. Just share and tag us and you can win $25 worth of Cool Stuff! PLEASE PASS THIS ALONG ! Appreciated Big Time! Instructions can be found at the above link. I'm experimenting here tonight since I'm not too sure how to do all of this..pulling feeds, linking up, attaching widgets, and all that good, but confusing stuff.